Brayton extends lead to 18 points in SX1. Blose takes a second and first respectively in SX2. 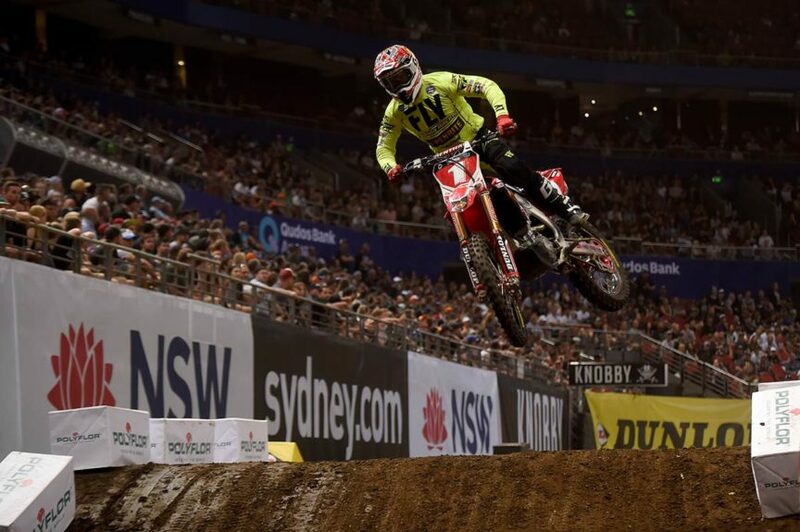 Penrite Honda claimed three podium finishes over the two nights of racing at rounds four and five of the Australian Supercross Championship. 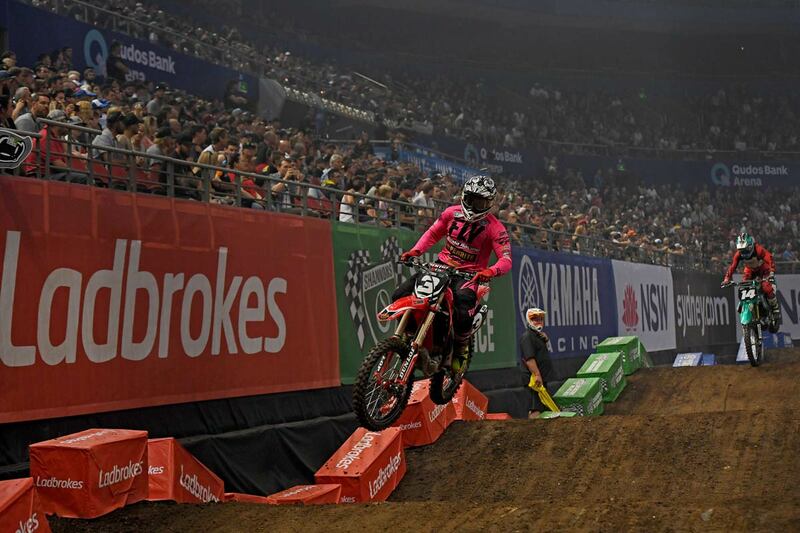 Despite a strong performance in his qualifying and heat race, Justin Brayton’s first night did not go to plan. The reigning champion and current points leader got a great jump out of the gate, but crashed in turn one of the main. He resumed the race and crashed two more times, before settling for 8th overall. It was a similar night for Brayton’s teammate in the SX1 class, Jesse Dobson. Dobson rode well in his heat and semi, transitioning easily to the main event. However, Dobson also crashed in the final, resulting in an injured hand. He showed grit and determination to resume the race in pain, eventually finishing a credible ninth. 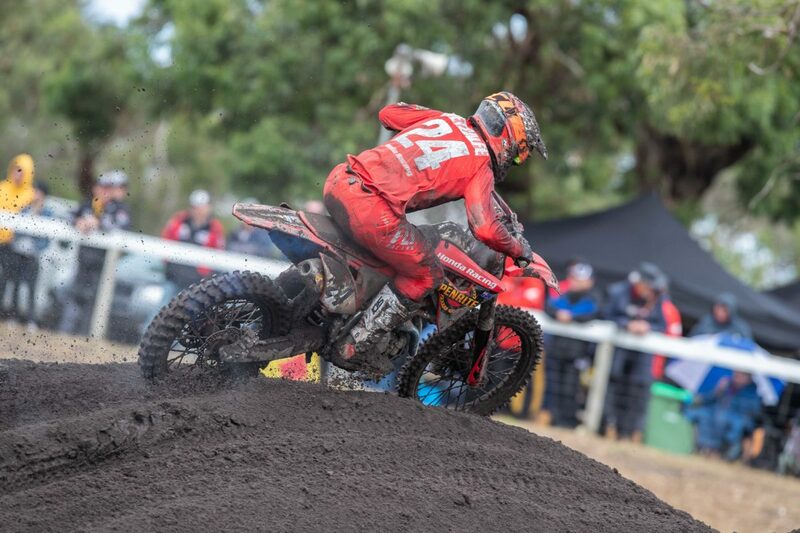 Dobson tried qualifying for the second night, but the pain made it too difficult to ride. Subsequently, the team and Jesse decided not to risk further injury for Day Two of the event. Delcon Civil backed Penrite Honda’s SX2 entry of Chris Blose. 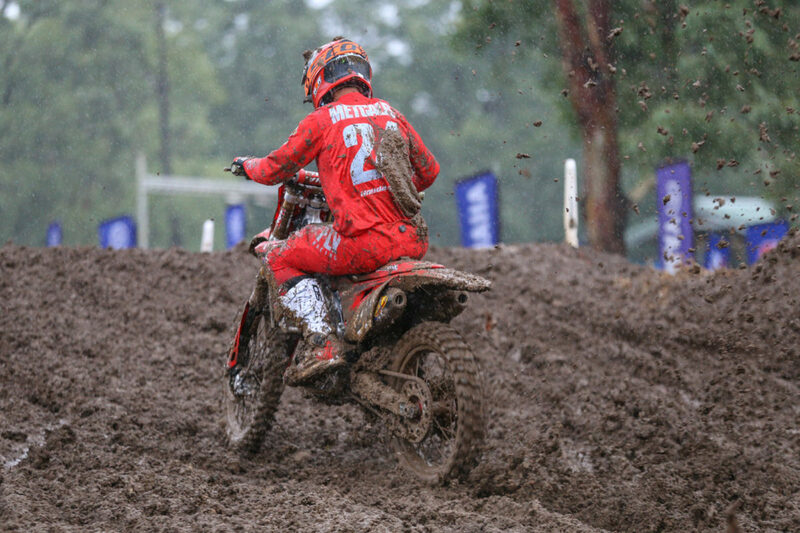 Blose was recruited after the teams Championship SX2 leader, Gavin Faith departed the series after fracturing his wrist. 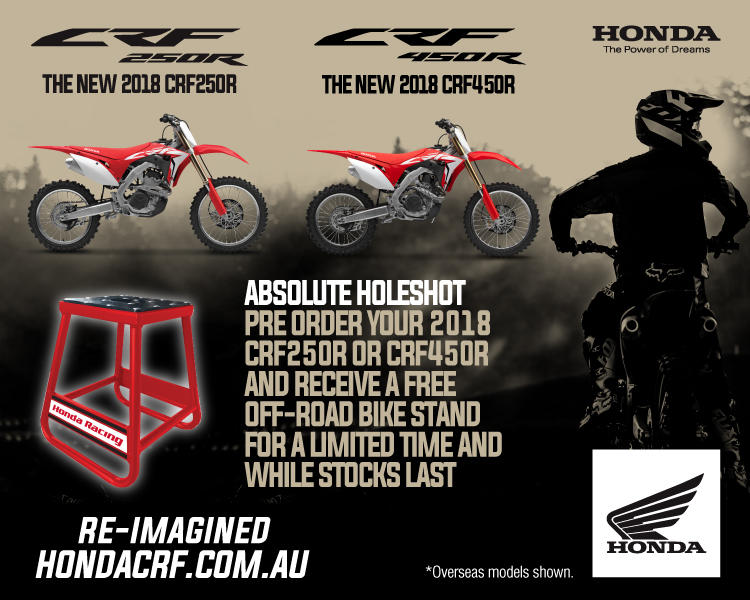 Blose only flew in seven days ago and jumped on a Honda CRF 250 for the first time last Monday. After three extensive days of testing, Blose settled on a set up that proved competitive. He took second place on night one, including the fastest lap of the 250 and 450 finals combined. Brayton quickly put the disappointment of night one behind him to claim the second fastest time in super-pole on night two. With the non-title contenders of Anderson and Wilson running strong, Brayton rode a smart and calculated race to take third overall. Consequently, Brayton now has an 18 point advantage heading in to the final round. Blose went from strength to strength on day two. He qualified first and won his heat race, before taking the chequered flag in the final. All in all, it was a dominant performance. 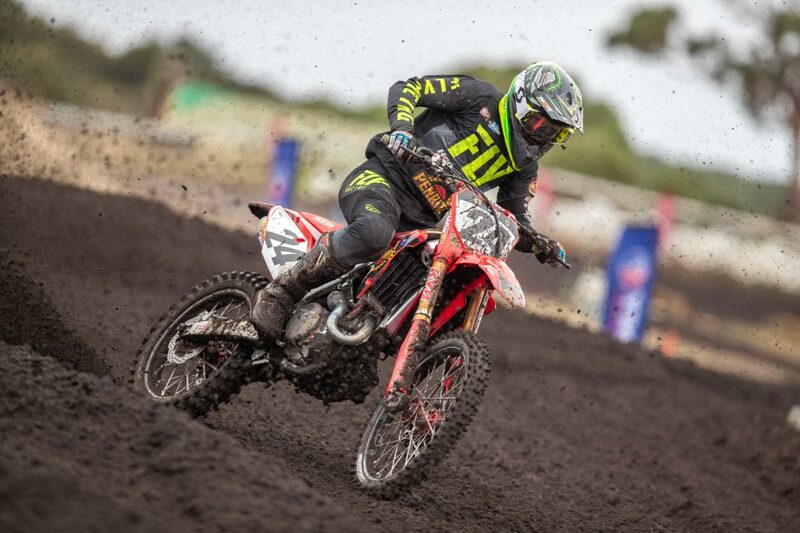 Chris Blose and Gavin Faith combine have put Honda’s 250 on the podium in 4 of 5 rounds. Team Principal, Yarrive Konsky was happy with the teams results.